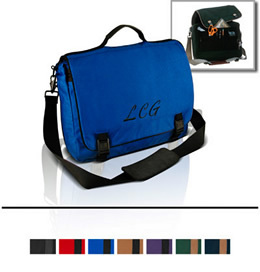 This expandable attache' features five zippered compartments to accommodate all your business documents. An assortment of organizer pockets provides separate storage for PDAs, discs, cell phones, pens, and keys. Unzip the wrap-around zipper and the case expands to seven inches deep for additional carrying space. The Sidekick's messenger bag styling allows you to carry the bag over your shoulder and access the compartments without removing it from your shoulder. Stylish and extremely durable, it just may be the businessman's most reliable assistant.